Self-described “Libertarian” Peter Imanuelsen (aka “Peter Sweden”) is as an independent journalist, working without the benefit of a network affiliation in his home country. 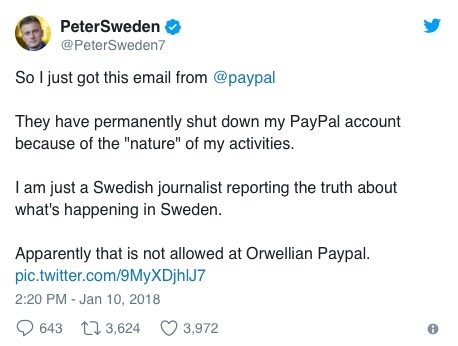 Mr. Sweden supports his reporting by collecting donations from readers and social media followers via PayPal. 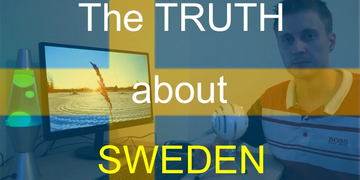 I am just a Swedish journalist reporting the truth about what’s happening in Sweden. The “limitation” is also not a temporary one. 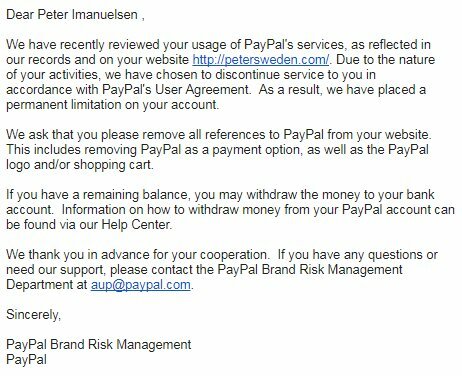 PayPal called the action “permanent,” ordering Imanuelsen to remove all references to the service from his website. On Thursday, “Pure Opelka” host Mike Opelka spoke with Imanuelsen from his home in Sweden, explaining not only the banning from PayPal, but also sharing the shocking story of the number of hand grenade attacks and bombings in the small Scandinavian country. Next Post:Will an 11-yr-old girl change Illinois’ laws on medical marijuana?